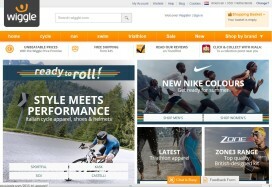 EU Makes Business Easier for Webshops-Hangzhou BTN ebike technology Co.,Ltd . Time：2016-8-2 Posted：Hangzhou BTN ebike technology Co.,Ltd . BRUSSELS, Belgium �C The European Commission has unveiled its detailed plans to create a Digital Single Market. It’s laid down in “The Digital Single Market Strategy” which includes a set of targeted actions to be delivered by the end of next year. The Commission claims that the Internet and digital technologies are transforming our world and that Europe must embrace the digital revolution and open up digital opportunities for people and businesses. The aim of the Commission’s Digital Single Market Strategy is to tear down regulatory walls and finally move from 28 national markets to a single one. “A fully functional Digital Single Market could contribute � 415 billion per year to our economy and create hundreds of thousands of new jobs,” says the European Commission further. The Digital Single Market Strategy which was adopted last week, includes a set of targeted actions to be delivered by the end of next year. It is built on three pillars: (1) better access for consumers and businesses to digital goods and services across Europe; (2) creating the right conditions and a level playing field for digital networks and innovative services to flourish; (3) maximizing the growth potential of the digital economy. Rules to make cross-border e-commerce easier. This includes harmonized EU rules on contracts and consumer protection for buying online with businesses being able to more easily sell to other EU countries. More efficient and affordable parcel delivery. Currently too-high parcel delivery costs are a barrier. Identify potential competition concerns affecting European e-commerce markets. The Commission therefore launched an antitrust competition inquiry into the e-commerce sector in the European Union. A modern, more European copyright law: legislative proposals will follow before the end of 2015 to reduce the differences between national copyright regimes and allow for wider online access to works across the EU. Reducing the administrative burden businesses face from different VAT regimes: so that sellers of physical goods to other countries also benefit from single electronic registration and payment; and with a common VAT threshold to help smaller start-ups selling online. Last but not least the European Commission’s long action list also includes an overhaul of EU telecoms rules as well as an comprehensive analysis of the role of online platforms (search engines, social media, app stores, etc.) in the market.